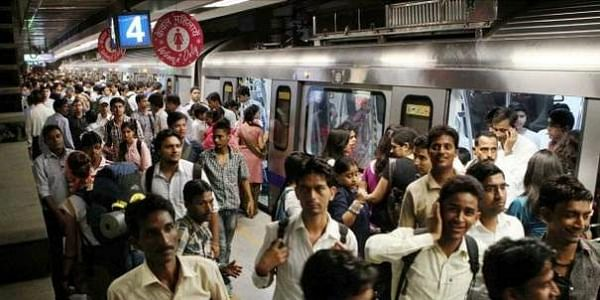 A woman and her father, carrying 20 live bullets in their baggage, have been apprehended from a Delhi Metro station. NEW DELHI: A woman and her father, carrying 20 live bullets in their baggage, have been apprehended from a Delhi Metro station here, officials said today. They said the woman, from Moradabad in Uttar Pradesh, was found carrying the rounds yesterday evening by CISF personnel at Adarsh Nagar station when her bag was being scanned. She was travelling with her father and other family members, they said, adding her father produced a copy of his arms license and said the 20 rounds of ammunition (.32 calibre) belong to him. The woman and her father have been handed over to the Delhi Police by the Central Industrial Security Force (CISF) team for further investigation, officials said. Security in the Delhi Metro and other public transport facilities has been stepped up in view of Republic Day celebrations on January 26. In a similar incident, another woman was apprehended at the Delhi airport yesterday, for allegedly carrying a live bullet in her bag. The woman, travelling to Dehradun, is a resident of Mathura. She has been handed over to the police as she could not furnish any documents for possession of the seized ammunition, the officials said.